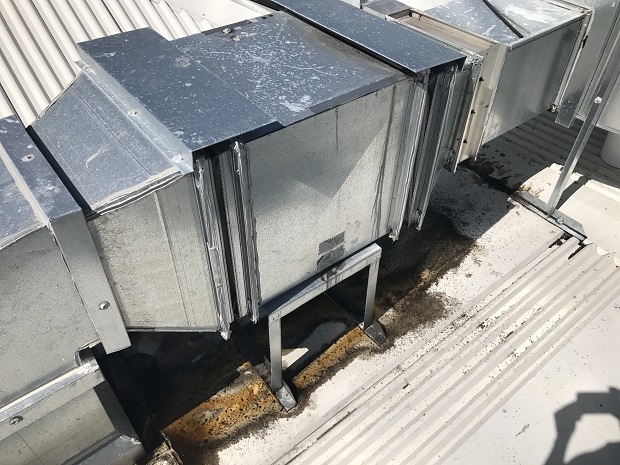 Let me share with you an example of quality exhaust fan cleaning here on the Gold Coast. 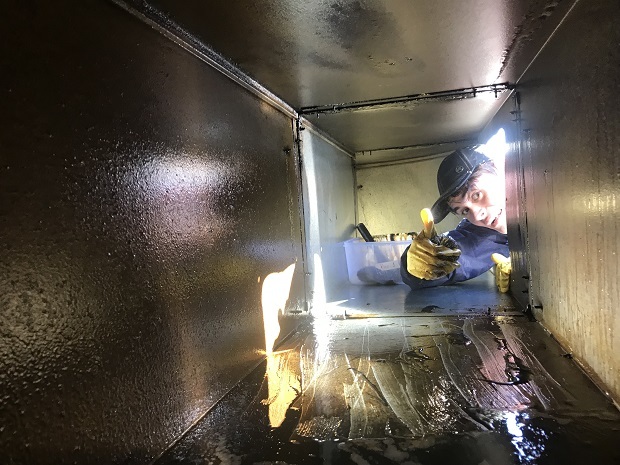 To my excitement I was recently invited to quote on a large kitchen Canopy and Exhaust Fan Cleaning Job here on the Gold Coast. This large venue caters for multiple eating kitchens so the roof and fan set up is quite extensive. 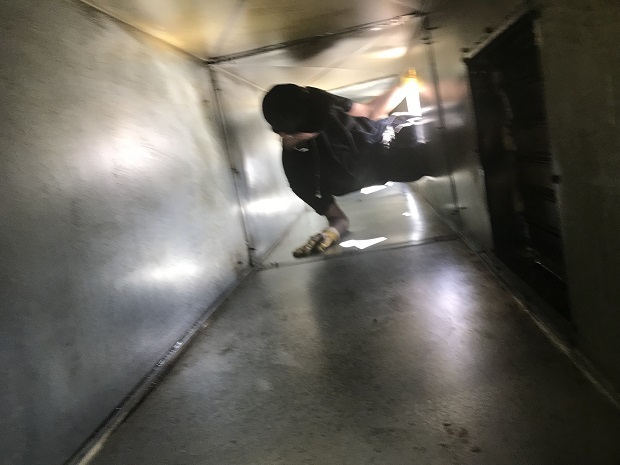 The problem was that the previous contractor had only reached into the access panels as far as the arm could reach leaving the rest of the exhaust duct dirty, and slowly becoming a fire hazard. For such a large volume of work I needed five staff for the cleaning of canopy and the kitchen exhaust cleaning in the restaurants below. So there was some organisation that needed to be done so that the chefs could start their work on time. The lads had to clear an area inside the ducting. Then after climbing into the duct they just work their way along till its all done.